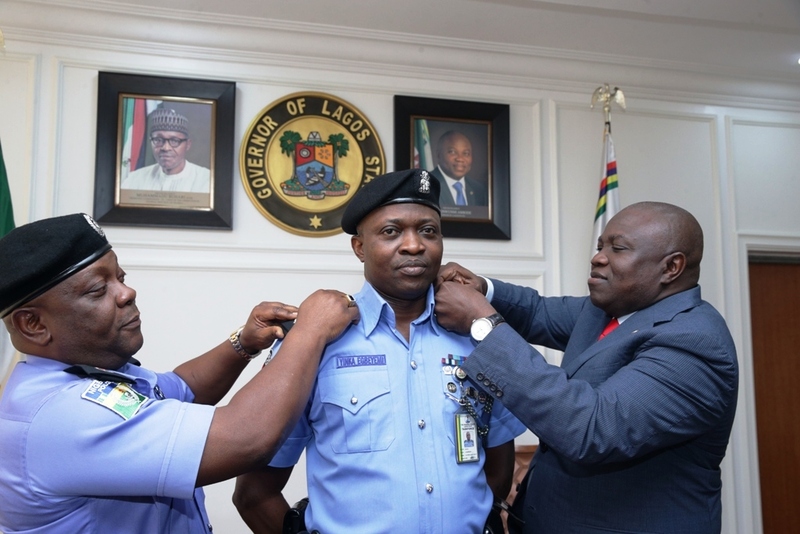 Lagos State Governor, Akinwunmi Ambode and Lagos State Commissioner of Police CP Edgal Imohimi on Monday decorated Chairman of Lagos State Task Force, Yinka Egbeyemi as Chief Superintendent of Police at Lagos House, Ikeja. Lagos State Governor, Mr. Akinwunmi Ambode (right) and Commissioner of Police, Mr. Edgal Imohimi (left), decorating the Chairman, Lagos State Task Force on Environmental and Special Offences, Mr. Yinka Egbeyemi as Chief Superintendent of Police (CSP), at Lagos House, Alausa, Ikeja, on Monday, July 2, 2018. 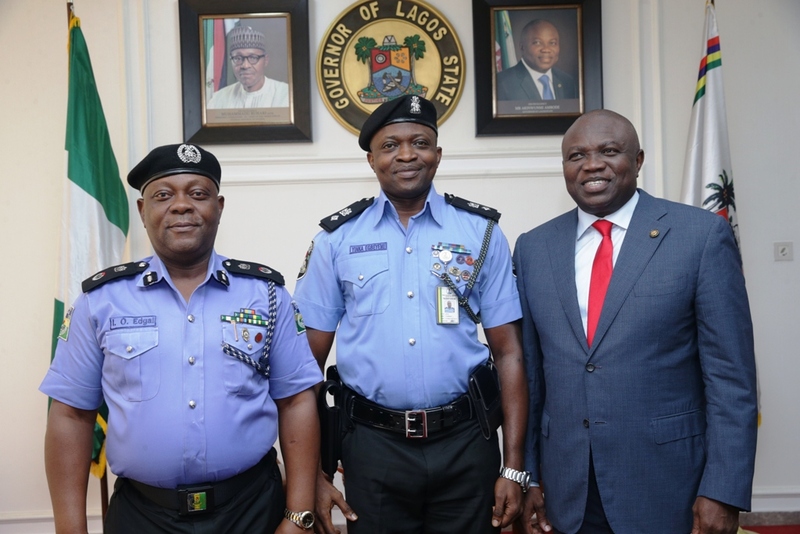 Lagos State Governor, Mr. Akinwunmi Ambode (right); Commissioner of Police, Mr. Edgal Imohimi (left) and Chairman, Lagos State Task Force on Environmental and Special Offences, Mr. Yinka Egbeyemi (middle) during the decoration of Egbeyemi as Chief Superintendent of Police, at Lagos House, Alausa, Ikeja, on Monday, July 2, 2018.